In the final seconds of its victory over St. Frances Academy at the Basketball Academy Thursday evening, Poly High’s players jumped off the bench to celebrate a reserve’s basket. It’s been challenging season so far for the No. 8 Engineers, who closed the opening day of the 21st annual mixer with a 63-43 decision over the 15th-ranked Panthers at Morgan State University’s Hill Field House. In other action, No. 2 Dunbar boys’ held off Randallstown while Poly and Western girls captured victories. The No. 3 Doves top Mount Carmel, 51-26 as junior forward Jasmine Walton scored 13 points. The defending Baltimore City Division I champ Western (8-2 overall) scored the first 11 points en route to a 22-5 halftime advantage. Ayana Brim and Stephie Long each finished with seven points for Mount Carmel (3-9), making its first apperance at the Basketball Academy. Poly improved to 9-2 (since 2011) at the Academy with a 49-41 victory over New Town in a battle of state Final Four squads from last season. Senior Jewel Porter scored 10 points for Poly (5-3), which built a 10-point first half advantage. New Town (6-3), which reached the Class 2A state semifinals last year, got 10 points from senior Khariah Kosh. Tied at 11, Poly ran off 10 straight points in the second quarter for a 21-11 advantage. New Town pulled to within five in the second half, but the Engineers were able to keep the Baltimore County school at bay, despite shooting just 14-of-37 from the free throw line (New Town was 14-of-32). Poly, last season’s Class 3A state finalist, will play No. 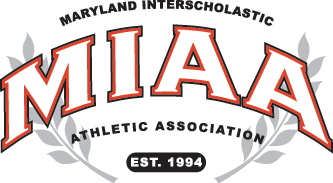 19 Milford Mill Academy Saturday morning (11:15 a.m.) at Hill Field House. New Town plays Western Saturday at 10 a.m.
Dunbar boys’ are still undefeated, but needed a fourth quarter push to knock off Randallstown, 57-54. Sophomore forward Tymu Chenery scored 16 points and Dashawn Phillip added 14. The Poets went on a 10-4 run midway run before withstanding a Ram game-tying attempt at the buzzer. The 11-0 opening is the best for the east Baltimore school since the 2011-12 campaign with 11 straight. “We’re still not playing perfect, but sometimes you just got to take what you can to get over hump,” said Jones. Chenery, 6-foot-5, broke a 47-47 deadlock with a short jumper, but the Rams stayed on Dunbar’s heels, trailing 53-51 after two free throws from Yimi Lewis with 64 seconds remaining in regulation. The Poets easily broke Randallstown’s press as Phillips converted a layup off a pass from Chenery. Damonte Moore hit two free throws, giving Dunbar a 57-51 lead with 39.8 seconds left. Kevin Mackle’s 3-point play got the Rams (6-3) to within 57-54 with 20.7 seconds remaining. Moore missed two free throws, giving Randallstown a chance to force overtime with 7.9 seconds left. Nasir George’s 3-point attempt from the wing hit off the back of the iron as the buzzer sounded. Makle, a 6-8 senior post, finished with a game-high 23 points for Randallstown, which plays City College Friday afternoon at Hill Field House. Dunbar plays Saturday afternoon against Friends School. Prince George’s County’s Central continued its perfect run with a 60-20 victory over New Town. Trent Jones led Central (10-0) with 25 points. Rashad Faust finished with six points for New Town (3-8), which has had no starters back from a team that won a second straight state title (won 2A after claiming 1A in 2015) last season. In the showcase match, Poly dominated the final 12 minutes against defending MIAA A Conference champ St. Frances. Temple University commit De’Vondre Perry scored 20 points for the Engineers (8-5 overall), and Demetrius Mims and Seth Jones each added 11. It’s the first major local win for the Cold Spring Lane school, which won its first city title last season. The Engineers have already surpassed last season’s loss total (4), playing a daunting non-league slate. Poly imposed its will in the paint and was able to get transition baskets as Perry, 6-6 and 6-5 Demetrius Mims finished with crowd pleasing dunks. But it was Jones, a 5-10 junior reserve guard, who ignited the Engineers. Trailing 30-29 in the third, Jones buried back-to-back 3-pointers, giving Poly a 35-30 advantage with 1:38 left. After sophomore post Amani Walker closed the third with a basket, freshman point guard Rahim Ali opened the fourth with a jumper and Perry got a 3-point play off a powerful baseline finish. Poly trailed 17-12 in the second quarter before Jones’ 3-pointer started a 10-1 spurt, capped with a Perry 3-pointer, for a 22-18 advantage. St. Frances clawed back in front, 30-29 with 3:07 left in the third after back-to-back scores from Eral Penn. The Panthers’ momentum didn’t last as Jones dropped those back-to-back daggers. 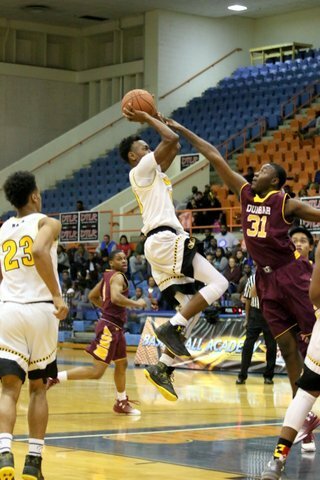 Penn finished with 17 points for St. Frances (6-10), which is undergoing growing pains after graduating the backcourt of Kurk Lee (Drexel) and Daquan Bracey (Louisiana Tech) last season. The Panthers are at Mount St. Joseph Friday night then take on Chicago’s Morgan Park at Poly Saturday. The Engineers will take on Chicago’s Simeon Saturday evening in the nightcap of the Charm City/Windy City Shootout. Simeon is ranked No. 8 nationally by USA Today. St. Frances – E. Penn 17, Baldwin 15, Epps 4, Sydnore 2, V. Penn 2, Goodwin 3. Totals 14 11-21 43. Poly – Perry 20, Mosley 3, Godinez 2, Weaver 2, Jones 11, Mims 11, Ali 9, Walker 3, Franklin 2. Totals 23 7-12 63. Dunbar – Chenery 16, Moore 8, Phillip 14, McCormick 6, Esguerra 6, Giles 1, Tolbert 6. Totals 20 16-24 57. Randallstown – Makle 23, McNeal 6, Koonce 9, Lewis 11, Issacs 1, Okojie 2, Thornton 2. Totals 18 17-25 54. New Town – Faust 6, Williams 2, Farrell 2, Roberts 3, Carter 5, McEachin 2. Totals 6 7-14 20. 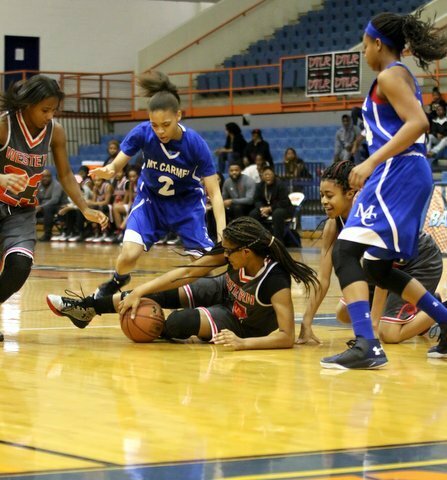 Central – Jones 11, Dixon 25, Brown 6, Mitchell 6, Young 4, Shivers 2, Wimbush 2. Totals 18 16-19 60. Mount Carmel – M. Pope 2, T. Pope 1, Alleyne 4, Long 7, Fullwood 1, Alexander 1, West 3, Brim 7. Totals 8 9-25 26. New Town – Lewis 2, Garrison 8, Kosh 10, Petty 1, Richardson 4, Smith 10, Webb 2, Anderson 4, Brown 2. Totals 13 14-32 41.